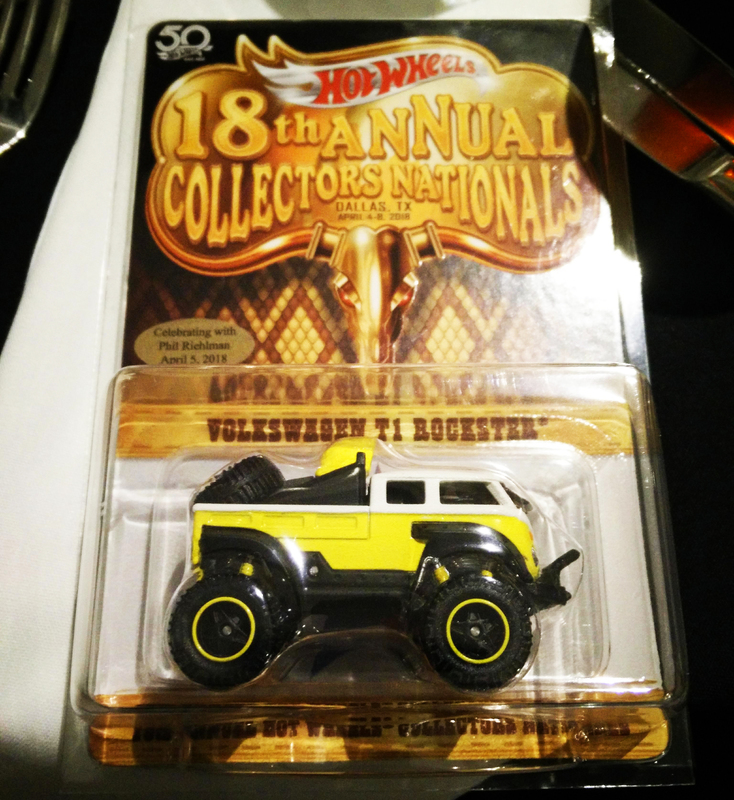 4/4/2018 — The 18th installment of the Hot Wheels Collectors Nationals Convention kicks off today in Dallas. 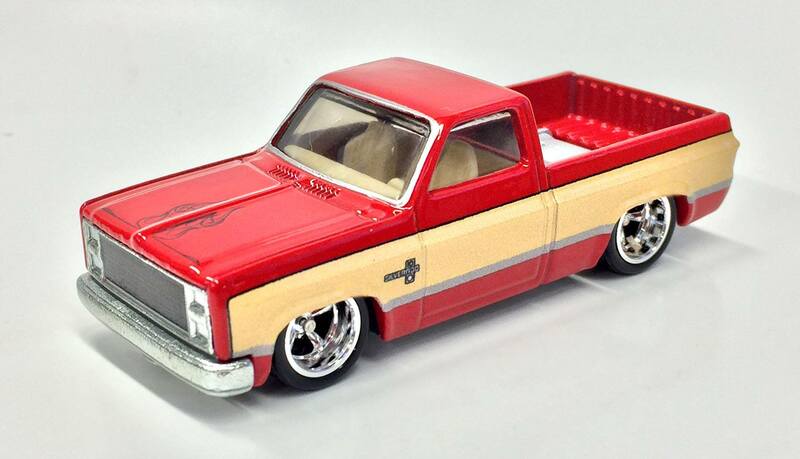 It comes at the perfect time to celebrate the Hot Wheels 50th Anniversary as special 50th Anniversary edition cars are in full swing at retail, and the brands official birthday is only two months away. Below is the list of the souvenir cars and a news section that we will update as the convention progresses, until Sunday. For the list of events, check out the Convention’s web site >> HERE. Mattel Staff on Hand: Phil Riehlman(Dinner Guest of Honor, Principle Designer), Steve Vandervate(Graphic Designer of HWC/RLC, Convention, Car Culture and other premium retail lines), Brendon Vetuskey(Lead Designer of HWC/RLC), Michael Heralda(Retired Graphic Designer), Manson Cheung(Scupltor/3D Designer), Julian Koiles(Senior Packaging Designer of Car Culture, Pop Culture, Replica Entertainment and HWC/RLC), Bob Rosas(Retired Designer/Engineer) and Jimmy Liu(Marketing Manager for Collector lines). RUMORS! Dinner Car will be the new Volkswagen T1 Rockster CONFIRMED, and Pink RLC Car will be the Datsun Bluebird 510 CONFIRMED. Also heard, “a Skyline is likely” UNTRUE. VARIATION ALERT! 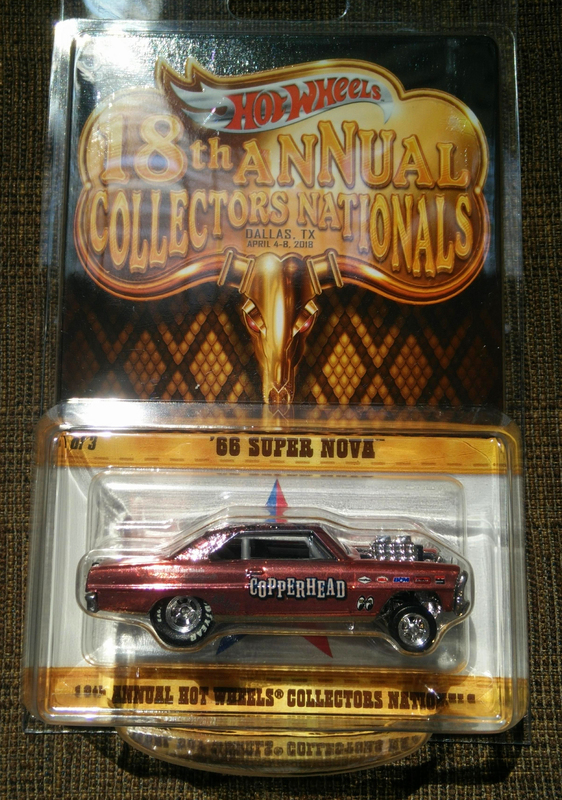 The ’66 Chevy Super Nova (souvenir car) is being found with and without its interior roll cage. 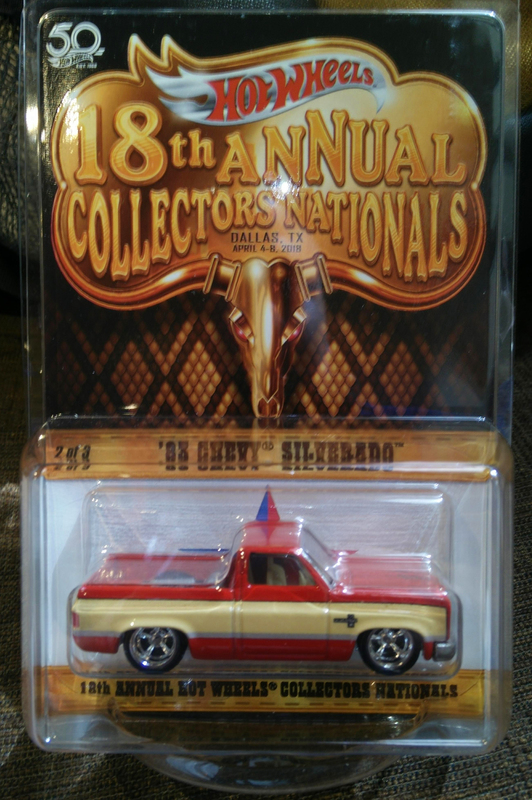 ’66 Chevy Super Nova (w/ Roll Cage) souvenir car from the 18th Annual Hot Wheels Nationals Convention (Dallas 2018) … Photo by Tim Callo, used with permission. 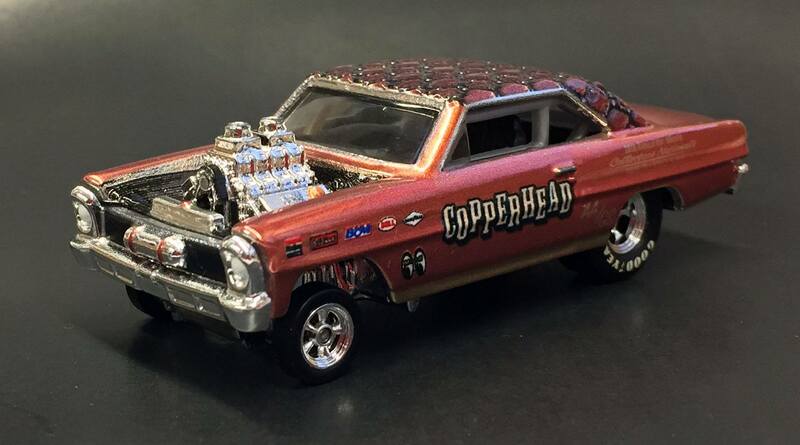 ’66 Chevy Super Nova (w/o Roll Cage) souvenir car from the 18th Annual Hot Wheels Nationals Convention (Dallas 2018) … Photo by Tim Callo, used with permission. Dinner car is in fact, the Volkswagen T1 Rockster. RLC Exclusive Car is in fact, the Datsun Bluebird 510 – Limited to 5K. It will be for sale in the souvenir room starting at 9:30AM on Friday 4/6. Sneak Peeks from Friday Night’s RLC Raffle Party can be seen >> HERE! 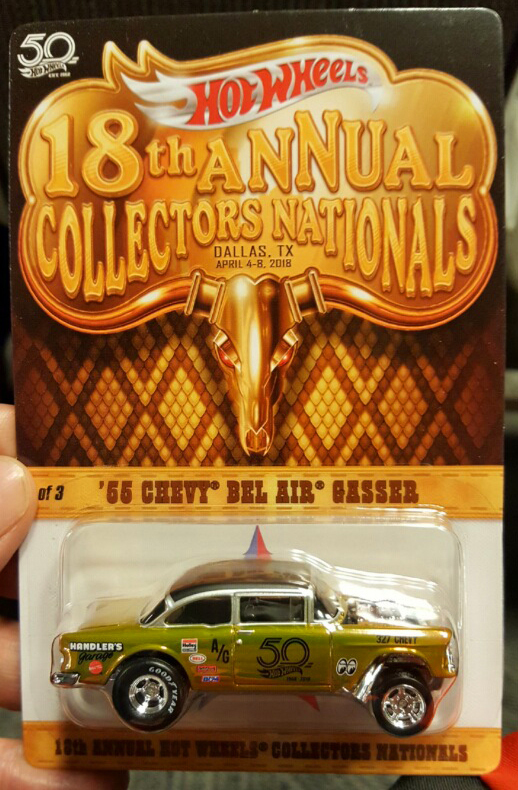 The Finale car is, in fact, a Spectraflame Gold and Black, 50th Anniversary ’55 Chevy Bel Air Gasser. The 2019 Nationals Convention will, in fact, be in the Chicago area. I like em all. Even the ones not shown. Have fun all. Its a rumor at this point. 2019 convention location will be confirmed tonight at the finale. CONFIRMED NOW… It WILL be in the Chicago area.